Race, Ethnicity, Nationality, Culture, Heritage, Identity … some have suggested that about 100-years ago, folks used “racial” referring more specifically to nationality rather than ethnicity. In other words, the concern then was that a foreign nation was gradually supplanting parts of another. Never-the-less, at the time, folks were concerned with the growing numbers of foreign nationals, especially Japanese; racial conflicts were developing and the military feared Japanese expansion. Growing immigrant population, including those from Japan started to concern some in the Islands, as well as on the continent. However, a later incident in Hawaiʻi (1920) is viewed as a catalyst to actions that resulted in The Japanese Exclusion Act to address what were real, as well as imagined conceptions, misconceptions and opinions. But we are getting ahead of ourselves; let’s look back. Since it was a crop that produced a choice food product that could be shipped to distant markets, its culture on a field and commercial scale was started as early as 1800 and it continued to grow. The first commercially-viable sugar plantation, Ladd and Company, was started at Kōloa on Kaua‘i. On July 29, 1835, Ladd obtained a 50-year lease on nearly 1,000-acres of land and established a plantation and mill site in Kōloa. It was to change the face of Hawai‘i forever, launching an entire economy, lifestyle and practice of monocropping that lasted for over a century. Sugar gradually replaced sandalwood and whaling in the mid-19th century and became the principal industry in the Islands. Sugar was the dominant economic force in Hawaiʻi for over a century, other plantations soon followed Kōloa. A century after Captain James Cook’s arrival in Hawaiʻi, sugar plantations started to dominate the landscape. Hawai‘i’s economy turned toward sugar in the decades between 1860 and 1880; these twenty years were pivotal in building the plantation system. By 1883, more than 50-plantations were producing sugar on five islands. A shortage of laborers to work in the growing (in size and number) sugar plantations became a challenge; the answer was imported labor. Starting in the 1850s, when the Hawaiian Legislature passed “An Act for the Governance of Masters and Servants” (providing the legal basis for contract-labor system,) labor shortages were eased by bringing in contract workers from Asia, Europe and North America. The first to arrive were the Chinese (1852.) Between 1852 and 1884, the population of Chinese in Hawaiʻi increased from 364 to 18,254, to become almost a quarter of the population of the Kingdom. The US Chinese Exclusion Law of 1882 (effective in Hawaiʻi in 1902) closed further immigration of persons of Chinese ancestry to Hawai’i, except for the few individuals who could qualify for an exempt status. The first 943-government-sponsored, Kanyaku Imin, Japanese immigrants to Hawaiʻi arrived in Honolulu on February 8, 1885. 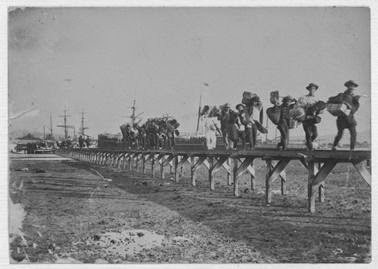 Subsequent government approval was given for a second set of 930-immigrants who arrived in Hawaii on June 17, 1885. More followed. In 1919, in commemoration of the coronation of Emperor Yoshihito (and a sign of good Japanese-Hawaiian relations,) Japanese in Hawaiʻi offered to construct a modified duplicate of the fountain in Hibiya Park Tokyo in Kapiʻolani Park. 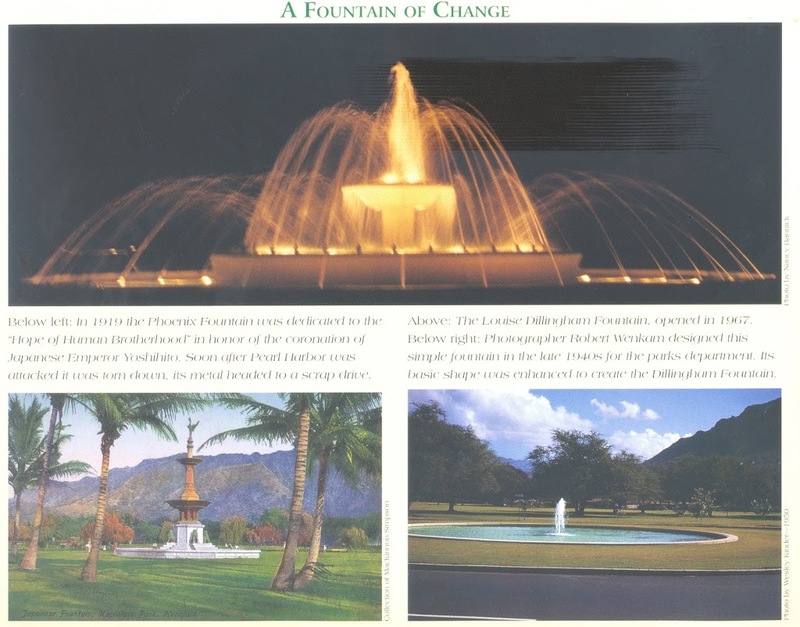 One Japanese speaker noted, “We are assembled here to mark a spot of everlasting importance in the annals of the history of the Japanese people of Hawaiʻi.” (It was later replaced and is now known as the Louise Dillingham Memorial Fountain. Growing immigrant population, including those from Japan, started to concern some, in the Islands, as well as on the continent. Many Americans had begun to look at Japan and the Japanese with deep suspicion. Though the strike was on Oʻahu, its impact was felt across the Islands. At about this time, Olaʻa Sugar Company was established in Puna on the Island of Hawaiʻi; Juzaburo Sakamaki was hired as the company’s only regular interpreter. As interpreter, Sakamaki was the only pipeline between the company and the Japanese immigrants who made up the majority of the labor force at Olaʻa Plantation. Sakamaki had sided with management during the labor dispute. The Territory of Hawaiʻi charged leaders of the Federation of Japanese Labor with conspiracy to assassinate Sakamaki in order to intimidate opponents of the strike and alleged, further, that the strike was part of a concerted effort to take over the Islands by Japan. Some suggest it was the catalyst for legislation restricting immigration into the US. On December 5, 1923, Rep. Albert Johnson, chairman of the House Committee on Immigration and Naturalization, had submitted to the House a new immigration quota bill. Having heard about the “Japanese conspiracy” over and over from Hawaiian representatives, Johnson finally decided to propose a new law prohibiting the immigration of all Asians. The subsequent Johnson Reed Immigration Quota Act ((Immigration Act of 1924) limited the annual number of immigrants who could be admitted from any country to 2% of the number of people from that country who were already living in the United States in 1890 (down from the 3% cap set by the Immigration Restriction Act of 1921.)) It passed both houses of Congress with overwhelming majorities: in the House 308 to 58 and in the Senate 69 to 9. The image shows Japanese off-loading a ship into Honolulu. In addition, I have added other images in a folder of like name in the Photos section on my Facebook and Google+ pages. Unfortunately, such friendship and trust did not prevail over the years, the victim of racial turmoil generated by World War II. Following the racial animosity generated by World War II, in 1943, the Phoenix Fountain was destroyed and turned to scrap. A basic fountain was built. Her husband Walter Dillingham is known for the huge changes he made to Honolulu’s landscape – which included draining Waikīkī’s wetlands, dredging the Ala Wai Canal and filling in Waikīkī’s wetlands. It’s located across the street from the Elks Club at Poni Moi Street. In addition, I have included other related images in a folder of like name in the Photos section on my Facebook and Google+ pages.